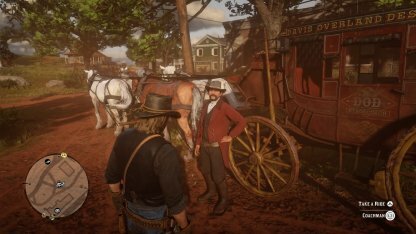 Find out the different ways you can fast travel in Red Dead Redemption 2, including how to fast travel in your camp and how to use stagecoaches, & trains! How to Fast Travel in Camp? Where Can You Fast Travel To? 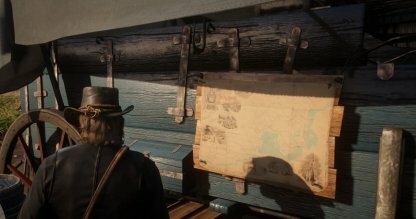 The map behind Arthur's tent in the camp will act a fast travel hub where players can select and view available areas they can go to. Selecting an area will have Arthur traveling there with his horse. 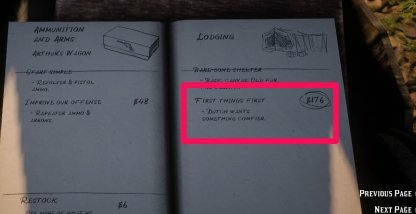 To be able to fast travel in the camp, players will have to upgrade the camp's lodgings through the ledger behind Dutch's tent. 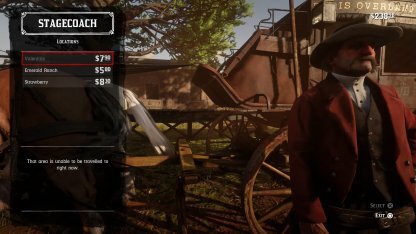 Buy the upgrades for $ 436 to first upgrade Dutch's Tent, then another $ 260 to add the Fast Travel map to Arthur's tent. Fast Travel is not immediately available in the game. 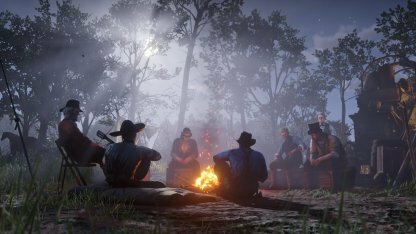 You'll have to move through the main story first to be able to get access to a camp, as well as the other travel points in the game. Major towns and cities will become available to fast travel to as soon as you are unlock them in the map. Some points of interest will also be available for fast traveling. The map will mark out all the areas that you can fast travel to. However, if you have a bounty in one of the areas, it will be unavailable for fast travel until you can pay off your bounty. There are stagecoaches in most towns and cities that you can use to travel between points. Talk to the coachman to see available areas for travel and their corresponding prices. 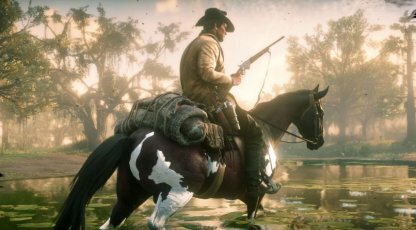 Stagecoaches will be unavailable for use if you have a bounty in the town or city that they are in. 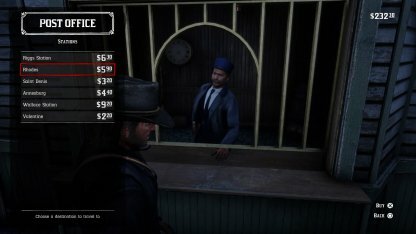 Pay your bounty at train stations or post offices to be able to use their service. The stagecoaches are not restricted to areas where you are bounty-free. Going to the areas where you have a bounty is allowed, but the stagecoach will then be unavailable for you to use. Trains are another option for fast travelling, but they can only travel between train stations. Not all areas have a train station so the areas you can travel to with the train are a bit limited. Purchase a ticker at a Train Station to be able to use the train. Just go up to the ticket booth and talk to Station Clerk to see the available train stations and how much their tickets cost. When fast travelling, it's best to have all of the items you might need in your horse's inventory as a precaution. Stock up on ammo, weapons, and medicine when traveling to areas where you may not have access to stores. 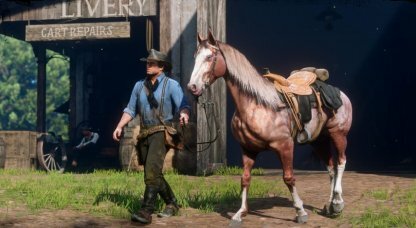 Always have a set of summer and winter clothes in your horse's inventory when traveling. This will help you when weather conditions suddenly change in areas that you fast travel to. You'll find your horse to where you're headed if you use a stagecoach or train to travel! Try whistling as soon as you get to your location to quickly find them.